Asiana Airlines Crash: A Cockpit Culture Problem? A tragic plane crash has reignited a debate about the influence of national culture inside the cockpit. 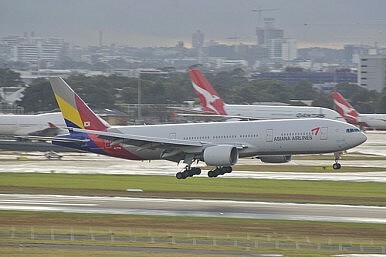 On July 6, Asiana Airlines Flight 214 – a Boeing 777 – crashed after clipping a seawall during a landing attempt at San Francisco International Airport, killing two and injuring 180 of 307 passengers. It was the first crash to result in multiple deaths involving a major airline in North America since 2001. After ruling out the usual suspects of weather – the skies were clear – and mechanical problems, officials had no choice but to look at the next most likely factor: the pilots. Following the crash, a number of media outlets began to talk of the role allegedly played by Korea’s hierarchical culture in the tragic accident. From NPR and National Geogrpahic to NBC and an op-ed in the Los Angeles Times, references to the possibility of a cultural piece in the puzzle of what caused the crash were liberally sprinkled in reports and analyses. The deferential respect that is de rigueur in Korea’s apparently über-Confucian social strata was readily apparent in the infamous Korean Air crash that occurred in Guam in 1997, when Flight 801 smashed into a hill, killing 228 of 254 passengers on board a Boeing 747. Another case in 1999, wherein junior officers were seemingly too timid to voice their concerns to the captain in time to avert disaster, occurred near London. In addition to an alleged reluctance to point out a superior’s errors, no matter how grave, Korea’s rigid pecking order also purportedly gives preference to retired military fliers over civilian pilots. This lack of civilian-military cooperation is not conducive to the cockpit camaraderie needed to commandeer a large commercial jet. But can Confucian cultural underpinnings – which also exert strong pull in countries like China and Japan, where airline safety is not a sore point – really account for the Asiana crash? Especially after so many safety adjustments were made to improve the nation’s avionic rep – most notably in the case of formerly disgraced Korean Air? For perspective, Asiana pilots must fly 10 flights and a total of 60 hours on a 777 to complete the airline’s training program. Pilot Lee Kang-kuk, a veteran with nearly 10,000 hours of total flying experience, had eight flights and 43 hours on the Boeing 777 under his belt when the crash occurred. Last Friday South Korean aviation officials also shot down the culture explanation. “It's true that authoritarianism existed in the cockpit until the late 1990s (of South Korean flights) but we have now a completely different culture,” said Chang Man-Heui, director of flight standards at the South Korean transportation ministry. A more likely explanation is that pilots have become too dependent on automated processes at the expense of know-how. According to Thomas W. Brown, a former American employee of a Boeing subsidiary that trains Korean pilots, South Korea lacks a network of small airports to hone young aviators’ flying acumens. As a result, they rely too heavily on automated processes. Inexperience, Confucianism or a combination? The investigation is ongoing.